B0068. 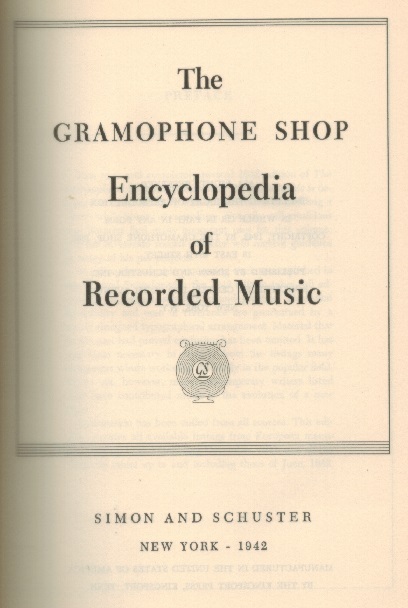 The Gramophone Shop Encyclopedia of Recorded Music, 1942 Edition. 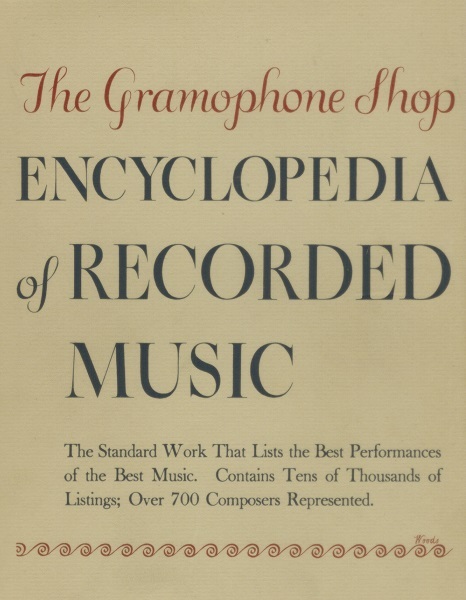 New York, Simon & Schuster, 1942. 558pp. DJ.